Banjo’s Corporation Pty Ltd (Banjo’s, us or we) manage personal information in accordance with the Privacy Act 1988 (Cwealth) (Privacy Act), the Australian Privacy Principles (APP) contained therein, and the SPAM Act 2003 (Cwealth) (SPAM Act) (Acts). This Policy does not relate to our Franchisees’ management of your personal information. Where necessary, they will have their own policy. By visiting our website, or providing us with your personal information, either electronically, in writing, over the telephone or in person, you agree to be bound by the terms and conditions of this Policy, the Acts or other applicable laws of Australia. We reserve the right to update the terms of this Policy at any time. Banjo’s will only collect personal information from you when is reasonably necessary to undertake our business activities and functions, or as otherwise permitted by law. We do not generally collect sensitive information from you; however, if you provide this information to us, we will only collect that information with your express consent and only where such information is reasonably required in order for us to provide our products or services to you. We shall not disclose sensitive information to any other party without your consent. We, or our franchisees, may run competitions or offer added benefits to you and we may ask you to provide us with your personal details for these purposes. Giving your personal details to us is absolutely optional, however if you do not provide your personal details we may not be able to contact you or give you access to those benefits. We are often required by law to confirm the identity and age of our competition winners, and if required, may request this type of identification from you. If possible you will have the option of interacting with us anonymously or through a pseudonym, however, where you are requesting products or services from us, it may become impracticable to provide those products or services to you without verifying your identity. you have given express (or implied) consent to us for a prescribed purpose. You consent to the disclosure of your personal information outside Australia, and acknowledge that we are not required to ensure that overseas recipients handle your personal information in compliance with the Privacy Act. We will, however, where practicable in the circumstances, take reasonable steps to ensure that overseas recipients use and disclose such personal information in a manner consistent with this Policy and the APP’s. you are at liberty to unsubscribe from any mailing list to which you have previously subscribed. We use the third parties to process any sales paid for via credit card. Depending on your interaction with us, will determine which payment gateway we use. Where we utilise PayPal Australia Pty Limited (ABN 93 111 195 389) (PayPal) to process any sales paid for via credit card, we do not directly hold any payment information other than a billing address and a contact email on the website servers. In accordance with PayPal policies, we may be able to view credit card details, however, we will only use such information for the purposes of credit card verification, transaction approval or to provide a refund. Any information collected by PayPal may be used in accordance with the PayPal privacy or other policies and is beyond our control. To view PayPal policies please refer to the PayPal website located at www.paypal.com.au. Where we utilise our everyday banking partner and their merchant facilities (which may change from time to time) to process any sales paid for via credit card, we will directly hold payment information, including full details of your credit card, and share only with our related entities. Such payment information will be held and treated in accordance with this Policy and the APP’s. We may utilise certain third-party advertising services (e.g. organisations such as FastClick or Google) to display advertising for our advertisers. These third-party services may place a cookie on your computer for the purposes of ad tracking and presentation. We do not share personally identifiable visitor information with these third-party services. To unsubscribe from our e-mail database please send an e-mail to unsubscribe@banjos.com.au with the following message typed into the body of the e-mail. The message you need to type or copy into the body of your e-mail is “UNSUBSCRIBE”. You may request access to the personal information that we hold about you at any time by contacting our Privacy Officer using the details set out in this Policy. We will respond to any such request for access to personal information within a reasonable time frame and will provide you access to the personal information that we hold that belongs to you, unless we are authorised not to do so by law, or an AAP exemption applies. We may charge you a reasonable fee for processing your request and should we decline you access to your personal information, we will provide you with a written explanation setting out the legal reasons for doing so. Should we decline your request to correct your personal information we will provide you with a written explanation setting out the legal reasons for doing so. 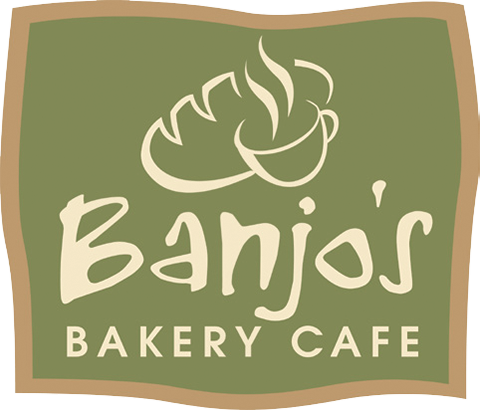 If the website or Banjo’s is merged or acquired by another entity, the information or personal details may be transferred to such entity as a part of the merger or acquisition. Should you believe that we have not fulfilled our obligations under the Privacy Act, have not complied with the terms of our Policy, or would like to appeal a decision made by us relating to your personal information, you can make a complaint in writing to our privacy officer using the details set out in this Policy. We will respond to you within a reasonable period of time to acknowledge your complaint and inform you of the next steps we will take in dealing with your complaint. Banjo’s Corporation Pty Ltd endeavours to keep the website and social media information correct and up to date however they will not be liable for any loss or damage arising from the use of information obtained from this website. Banjo’s Corporation Pty Ltd has no liability where the website, social media or associated functions is unavailable or information may be deemed to be incorrect or out of date. No information on the website, social media or associated sites, or actions or inaction undertaken by Banjo’s Corporation Pty Ltd, will give rise to any enforceable legal right or benefit.